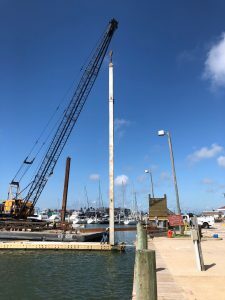 Two marinas in the City of Port Aransas, Texas — one public, one private — suffered significant damage last year when Hurricane Harvey slammed into Mustang Island in the Gulf of Mexico. The City of Port Aranas Marina was already working with Bellingham Marine on a multi-year renovation project to replace one of its eight docks each year. 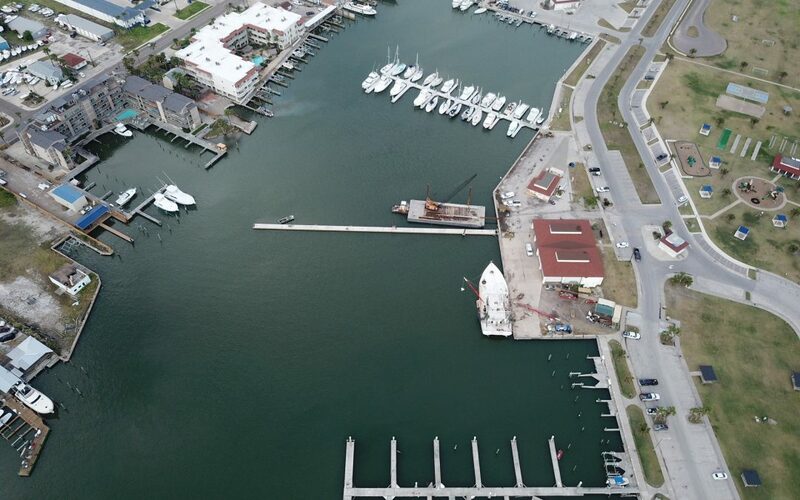 “We finished installing the first dock just two months before the hurricane struck; that dock went through the hurricane with no problem,” said Bryce Fisher, Bellingham’s manager of project development. But the rest of the marina sustained significant damage, so the city decided to complete the entire renovation project in 2018. Bellingham is serving as the general contractor for this project, handling all the demolition, pile driving, dock demolition and installation, and electrical and plumbing work. The job includes the demolition of three older wooden fixed docks and their replacement with 300-foot-long concrete floating docks. These new docks will each have between 25 to 30 slips, depending on their configuration. The company will also be rehabilitating two 20-year-old floating docks and adding extensions to them to increase the number of slips. The rehabilitation work will include new wood walers, new weldments and FRP thru rods. The electrical system on one existing dock was not damaged, but the systems on the two others will be upgraded to current codes and standards. The reconfiguration will increase the marina’s footprint and the number of slips. 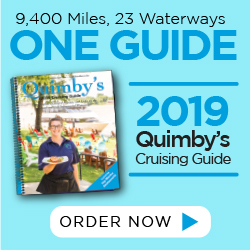 The smallest slips will now be 40 feet instead of the previous 30 feet, and there will be a significant upgrade in the number of slips and accommodations for large 80- to 90-foot vessels. The new docks began going into the water in mid-May, and the city will open each pier as work is completed. “The city holds a lot of fishing tournaments throughout the summer, and they wanted us to get Pier 5 done by June 1 since they use that for all their tournament weigh-ins,” Fisher said. The entire project should be complete by late summer. On the bay side of Mustang Island, the Island Moorings Marina was particularly hard hit by the hurricane. “There were 130 mph winds, and a 10-foot storm surge,” Fisher said. The marina underwent recent ownership change and was in the planning process of renovating its 1980s-era docks when Harvey blew through. “The hurricane significantly expanded and accelerated their plans,” Fisher said. Bellingham is now replacing and reconfiguring all the docks at the marina. Although the slip count will go down, the marina will now offer more slips for larger vessels; the smallest will be 40 feet instead of 30 feet, and the largest slips will be able to handle vessels in the 100-foot class. “Island Moorings’ goal is to return as a high-end private marina with superior amenities and service,” Fisher added. All of the docks and the systems will be upgraded. The docks will feature several open platforms that the marina will be able to use for shade pavilions or private events. The marina is also adding a brand-new fuel dock and ship store and has plans to renovate the pool area.The on-site restaurant also has been remodeled and is open for business. Island Moorings renovation should also be finished by the end of summer, when the marina will reopen. Source: Reprinted with permission from Marina Dock Age magazine.